This is fantastic solution for those childminders who care for siblings. 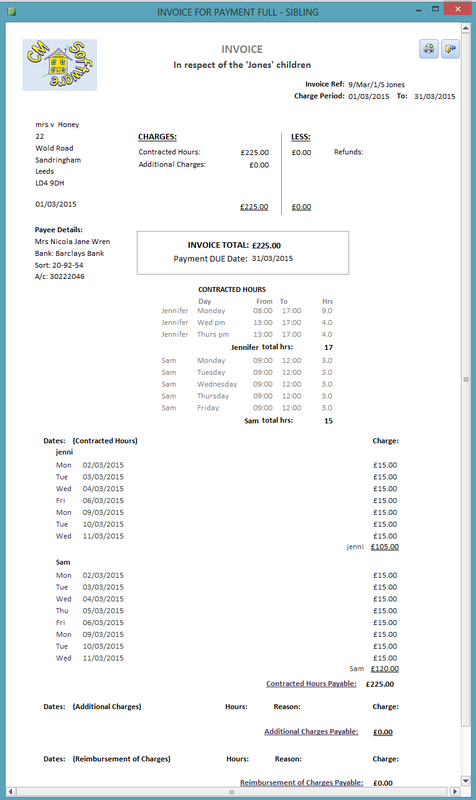 You no longer need to do 2 separate invoices, as using this form you can bring in the contracted hours from two, or more, main forms who share the same reference (which you choose on the children's main form). You are still able to include additional charges and refunds. 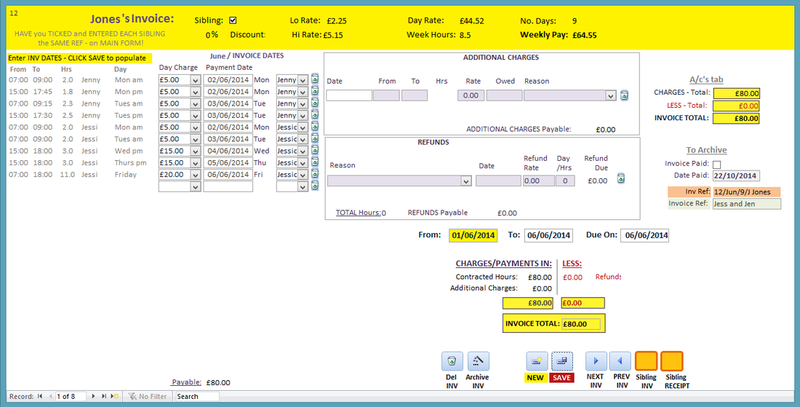 You can see a video of the sibling invoicing method by clicking on the picture above.